Where have all the Goths gone, I ask with a mascara-stained tear in my eye? Time was Goth was one of the biggest scenes in this fair country. Goths were everywhere - making old people wonder what the world was coming to and inspiring schoolkids to spend all their money on deep black hair dye. It seems, much like video killed the radio-star, and Justin Bieber killed just about every mainstream genre of music, that Goth has been slowly eroded by that curse of our generation. Yes, I’m talking about you, you Emo bastards. The good news is Goth isn’t actually dead. It rests in a leather-studded coffin in a damp basement somewhere, and only comes out when the moon is full. 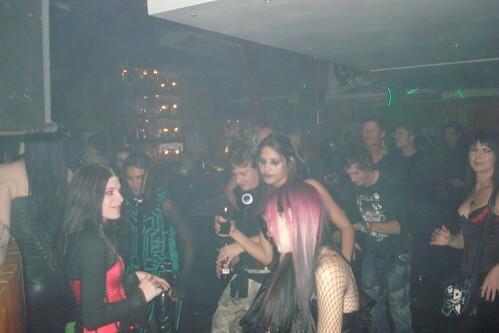 Or on World Goth Day, which was the reason for Cape Town’s latest celebration of all things Gothic. 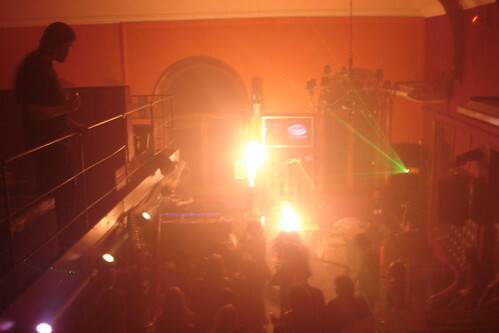 The somewhat-dodgy-sounding-but-actually-very-well-appointed club Voom Voom played host to the Mother City’s darkest. In another life, this place was the Bang Bang Club, but I doubt the building had ever seen such a fine collection of leather, latex, lace and lip-piercings. 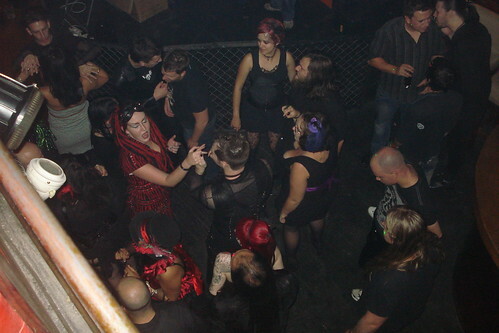 The Goths came out to play in inimitable style. 17th Century French aristocracy mingled with corseted dominatrixes. Black and blood red abounded in shadowy splendour. It was like being at Boris Karloff’s birthday party - simply beautiful. 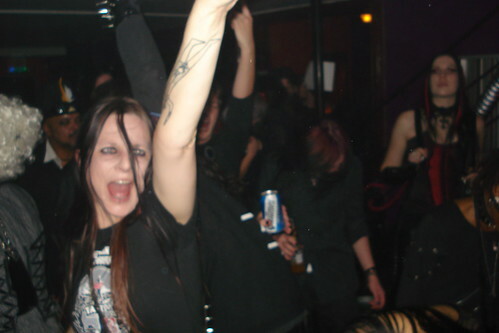 Although on the outside Goth is a style and a lifestyle, it is really the music that defines it. 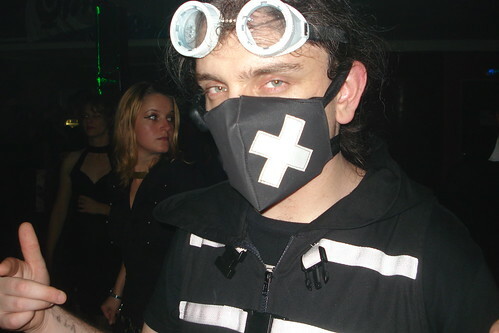 DJs Minstrel, Kyle, Johan, Malcolm and Phillip produced such a glorious mash-up of darker alternative, Goth, industrial and EBM that the dance floor was awash with swaying black for the entire night. Sisters of Mercy and Billy Idol blended into Gothminister and even pseudo-goth loony Lady Gaga had a turn on the decks, while a Rammstein-esque flame machine added to the damnbience. Goths don’t have an A-list, but if they did, then they were there. Antonio (Gandalfs/ROAR) dropped in and seemed mightily impressed with the turnout. 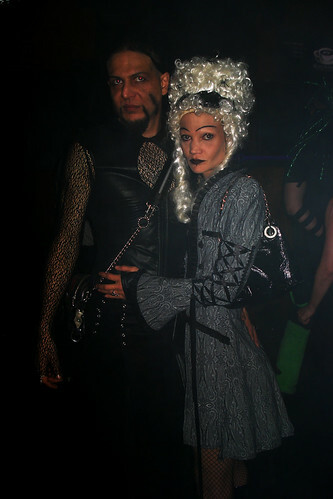 Cathy from all-girl alternative group Coal was seen doing her thing on the dance floor and Mark and Helna from Wolf Clothing set the standard in their baroque costumes. All in all, one of the best sub-culture nights Cape Town has seen for many a year. Thanks have got to go Dean Huddlestone and Minstrel for organising such a successful event in less than a week, as well as the guys at Black Milk and Chemical Dream and Riaan for the amazing laser set-up. Don’t go yet, because as an added bonus, we managed to get hold of organiser and Goth scene stalwart Minstrel for a quick chat. Minstrel, what are your opinions on the night? Was it a success? It was amazing. 7 days earlier we had nothing. The venue and all the advertising were done in 48 hours. The crowd that came out made up for all the hard work we put in. I hit a depro on Sunday. 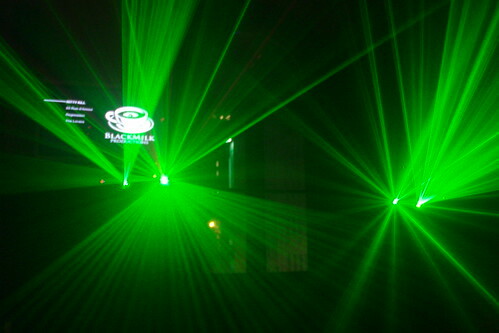 The party was so amazing, and the vibe so great, that I didn’t want it to end. There is only one word for last Saturday. FANTASTIC. Thank you people of Cape Town. Other than yourself and Dean, who was involved in organising the party? What inspired the event? World Goth Day started last year. It is international, and happened in many clubs all over the world. The date is around the 22 of May every year. We did the 21st, the closest to the actual day. 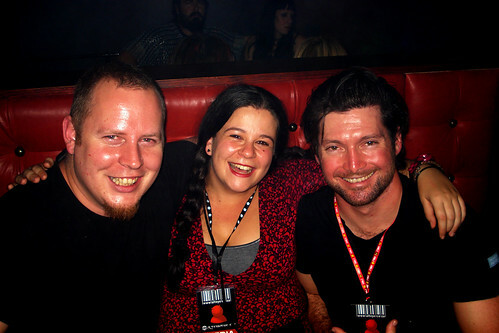 Last year we did it at Hectic on Hope, which was a really cool party. This year I asked Dean if he wanted to be part of it, and he came onboard. And what a good partner he is indeed. Wolf Clothing has kinda become an institution in CT, and they good friends of mine (the also part of Underworld - the other big party in the year), so quite logically, they are always invited to be part of the party. Also, prizes on the night were sponsored by AnonaMiss (Gabbi Katz), another really good friend. The set offered a nice balance of Goth, industrial, metal, alternative and EBM. Was it pre-planned or winged on the night? What inspired some of your song choices? I’ve been playing for many years now, and never, and I mean never, have I planned a set. My entire set was played on the fly. In the entire set, there was only one song that I planned on playing beforehand, and that was Liar by Gothminister, and I think it’s the song I started on. The rest was just reading the crowd, taking chances (Lady Gaga - LOL, and it worked), and playing for the reason I started playing in the first place, the passion for music, and wanting the crowd to have a good time. I never play for myself. As far as the other guys go, the brief was simple: The crowd comes first. Play to them. 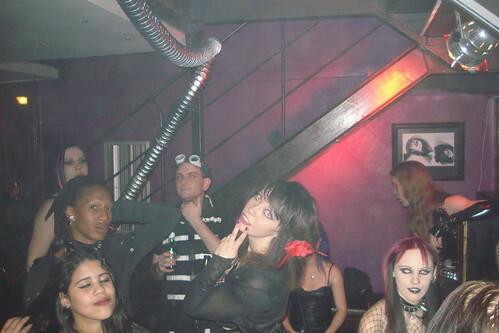 Give us a brief history of your involvement in Cape Town’s Goth scene? A brief history of my career? Gonna be difficult. I started at a club called the Playhouse. Me and Malcolm started on the same weekend. Since then, I’ve been DJ at many clubs. In no particular order: Purple Turtle, Lestat, Gandalf’s, Eye of Horus, Phoenix. I can’t remember all of them. 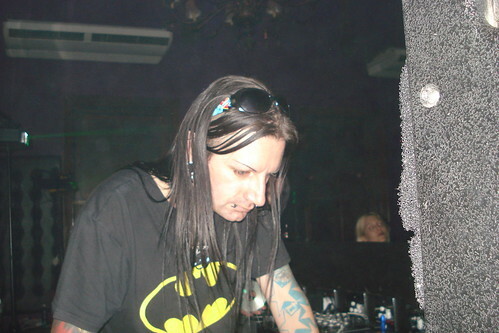 I also regularly DJ’d at the famous Goth/Industrial gatherings (Uncle Dave organised those) and I’m part of Underworld, a group of people that throw at least one big party a year; we’ve been going for about 8 years I think. I was also the creator of GOTHAM1 and GOTHAM2, and ran those for about 6 years. 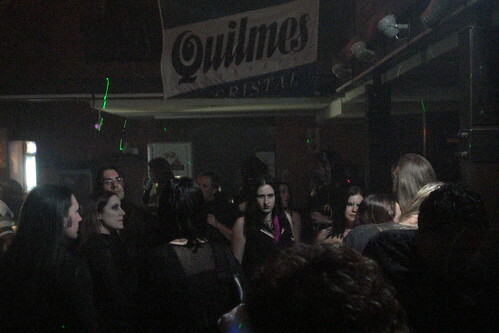 What do you think of the Goth scene, which seems to have diminished in recent years? Are all the Goths living behind white picket fences nowadays? That is so true. Of all the people that were around in those days when I started, I think I can count the ones that are still active on one hand. Very sad I think. Why do people have to grow up and old? I have no longing to ever put up the white picket fence. If I’m allowed, I’ll do this till the day I die. The Goth scene is not what it was, but I, and I’m sure Dean too, will not allow it to die. The day the legendary Paul (Playground and Purple Turtle) left Cape Town many years ago, he asked me to look after the scene. I made a promise that I’d try my best, and I’ve kept my promise as far as humanly possible. The problem right now is, there are no clubs in CT anymore. Antonio really tries to help us. Dark Power is hosted there at Pandemonium once a month, and I have my own night (Gotham Returns) the first Sat of every month there as well. There are also a lot of politics in the scene. That I won’t go into. We have the potential to have a really healthy scene, but I really don’t see that happening. There is an age divide, a musical style divide. It’s all so petty. I stand for the scene in general. There’s place for everyone in the sun. Any parties coming up that you would like to punt? My group, Gotham the Entity http://www.facebook.com/pages/gotham-the-entity/255725661030, hosts the Gotham Returns party the first Sat of every month at Pandemonium, and there is also Dark Power (Rudolph Vavrucht) once a month at Pandemonium. Thanks Minstrel. Any last words? Find more pics at Flickr and the Fiends of Alternative Eye Facebook Group. Many thanks from the Alteye Team on the night (Prof Toni, Nay & Jammo).